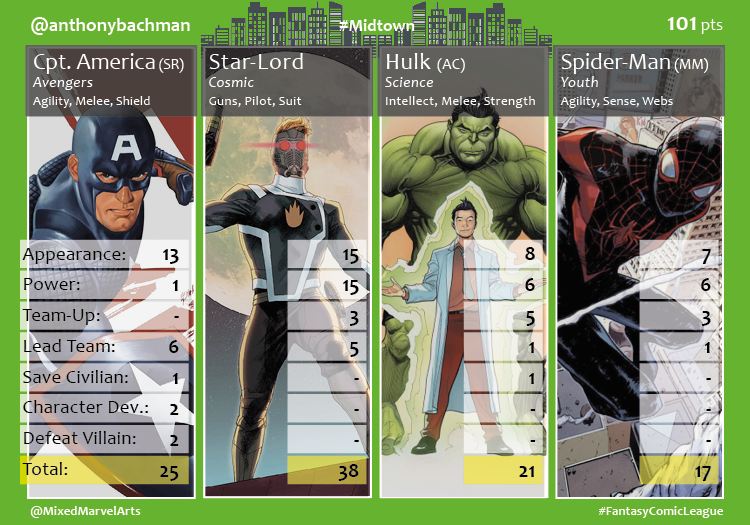 During the events of Secret Empire, Steve Rogers enacted his plan to plunge the streets of Midtown into darkness, but there was a glimmer of hope as the new Fantasy Comic League agents were dispatched to defend the city. Newcomer agents @anthonybachman and @nataliaromanov3 joined returning agents @KingofTysons, @Lennie_Roxx and @robertcyoung in their mission to return light to the Big Apple. 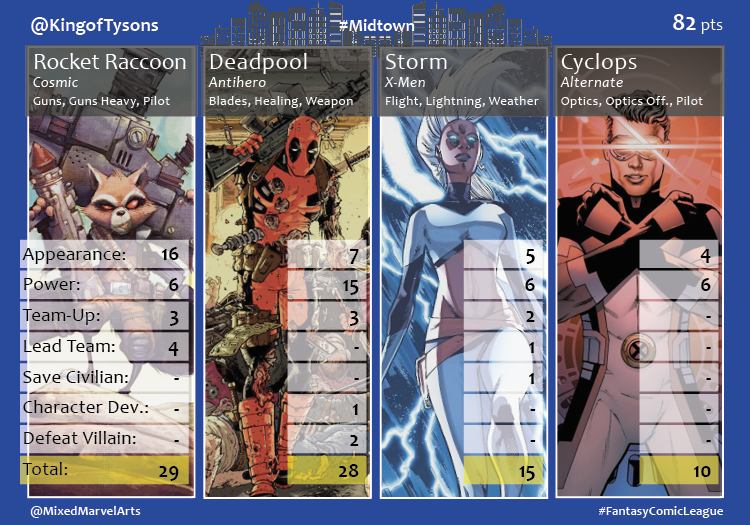 The #Midtown division started off strong in the new season of the #FantasyComicLeague and earned a total of 391 points. The agents saved 12 civilians while the wayward Captain America endangered civilians by blowing up Las Vegas. The heroes only defeated four villains while Rogers thwarted half that number of heroes. The Guardians of the Galaxy played a major role in the month of May. Star-Lord led Agent @anthonybachman’s team to an impressive triple-digit (101 points) debut. Agent @KingofTysons relied on a quartet of his typically reliable heroes for an 82 point second-place finish. 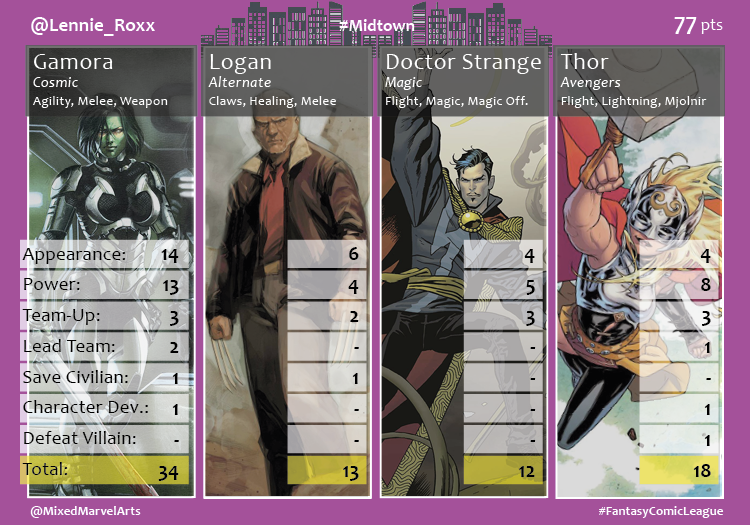 Gamora’s strong month topped Agent @Lennie_Roxx’s third place team and helped her earn 77 points. 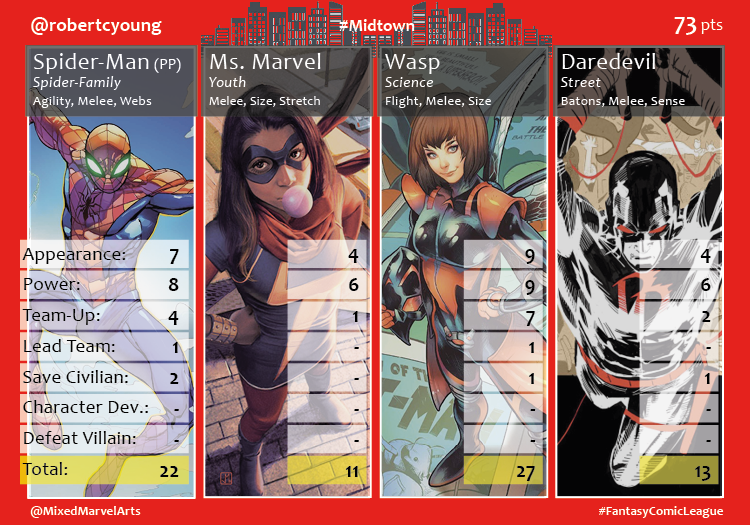 In an unusual turn of events, Wasp outpaced typical Fantasy leader Peter Parker on Agent @robertcyoung’s team which earned 73 points and a fourth place finish. 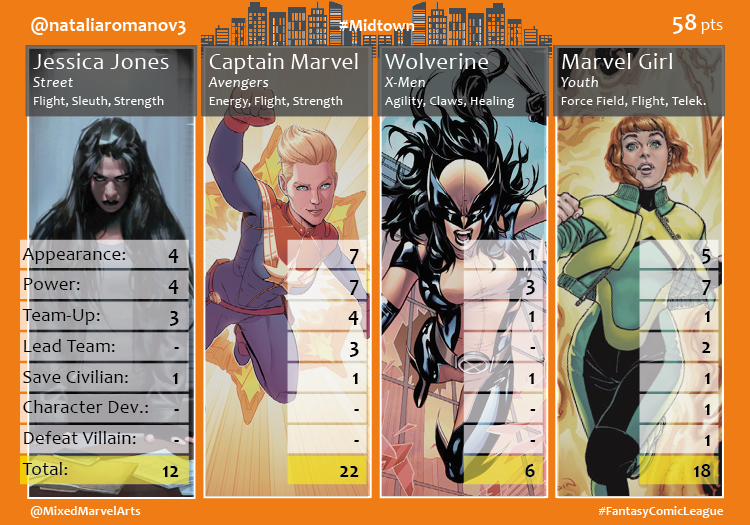 Agent @nataliaromanov3 banked on a collection of heroines, including league rookie Jessica Jones, and scored 58 points.